Integrity, expertise and 50 years of experience define Inland. Our management acumen, financial strength and operational expertise allows us to focus on the operations of our properties and the fundamentals of our business to create real value for stockholders. *Includes contributions from Inland employees, spouses, directors and affiliated employees, as of September 30, 2016. This is neither an offer to sell nor a solicitation of an offer to buy any security, which can be made only by a prospectus which has been filed or registered with appropriate state and federal regulatory agencies an sold only by broker dealers and registered investment advisors authorized to do so. Neither the Securities and Exchange Commission nor any state securities regulator has approved or disapproved of the securities of any Inland Real Estate Investment Corporation- or Inland Private Capital Corporation-sponsored program, or determined if the prospectus for such securities is truthful or complete. Any representation to the contrary is unlawful. An offering for a real estate investment trust is made only by means of a prospectus in order to understand fully all of the implications and risks of the offering of securities to which it relates. An offer to purchase an interest in a private placement can only be made by a private placement memorandum, and sold only by broker dealers and registered investment advisors authorized to do so. A copy of a prospectus or private placement memorandum must be made available to you in connection with any offering. Past performance is not a guarantee of future results, and should not be used to predict future results. 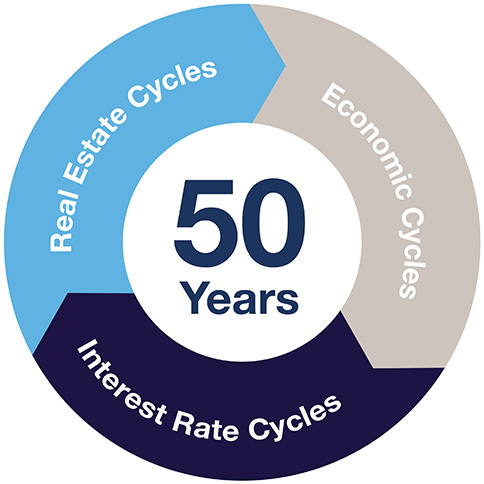 Some of the risks related to investing in commercial real estate include, but are not limited to: market risks such as local property supply and demand conditions; tenants’ inability to pay rent; tenant turnover;inflation and other increases in operating costs; adverse changes in laws and regulations; relative illiquidity of real estate investments; changing market demographics; acts of God such as earthquakes, floods or other uninsured losses; interest rate fluctuations; and availability of financing. The board of directors, rather than the trading market, determines the offering price of shares; there is limited liquidity because shares are not bought and sold on an exchange; repurchase programs may be modified orterminated; a typical time horizon for an exit strategy is longer than five years; and there is no guarantee that a liquidity event will occur.